The museum will be running coach tours of some of the out of town locations used in the filming. The tour is in 2 stages with the first leaving the museum at 10am. 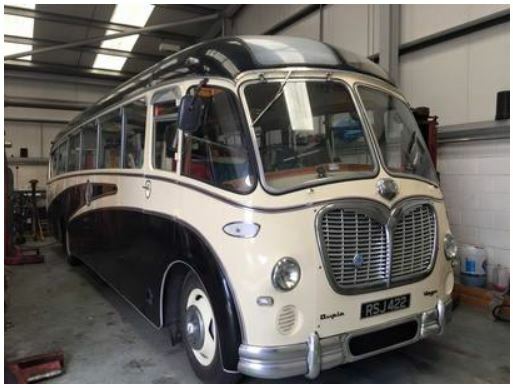 The tour will be on a wonderful 1957 Bedford SBG/Duple Vega C41F. The first stage of the tour (North) will feature Stanton Downham, Brandon, Lynford Hall, West Tofts, Red House, East Wretham and Thorpe camp. This part of the tour will leave the museum at 10am. The second stage of the tour (South) will include Ixworth, Bardwell, Sapiston and Honnington. This part of the tour will leave at approx 13.30 pm and will be back at the museum by about 4pm. The tours will mention many other locations, stories about the show and local history. Included in the tour is a Marigold tea/coffee & biscuits voucher. The ticket price is £25 and they available from the museum web site.